Rhinoplasty is considered by most plastic surgeons to be one of the most challenging operations in cosmetic surgery. Rhinoplasty is very popular amongst patients of non-Northern or non-Western European ancestry. The Middle Eastern nose perhaps best exemplifies the inherent difficulties that a rhinoplasty surgeon faces in achieving a consistent, predictable and long-lasting improvement in nasal appearance. The combination of nasal imbalances are often exaggerated, such as a large dorsal hump and thin overlying skin or a large but poorly supported, hanging nasal tip. The term Middle Eastern commonly refers to people of Arabic, Turkish, North African, and Persian descent. Middle Eastern noses demonstrate structural features that exist on a gradient between black noses and white noses. Some similar features are shared with Mediterranean and Hispanic noses as well. In Middle Eastern patients, it is important to recognize distinct nasal features and structural nuances and to appropriately address these during rhinoplasty surgery. The goal is to create a nose that is in balance with the other ethnic facial features of people of Middle Eastern descent – racial incongruity must be avoided to prevent the stigmatizing look of the “overdone” nose. The Middle Eastern nose often demonstrates a combination of a high dorsum (bridge), a dependent and/or poorly defined nasal tip, and thick overlying skin. Other common features include crookedness, a hyperdynamic nasal tip (the nasal tip droopiness is exaggerated when smiling), a high radix (this is the transition point between the forehead and the root of the nose), and large, wide nasal bones. Successful rhinoplasty surgery in the Middle Eastern patient starts with the preoperative consultation and a thorough evaluation of the all of the features that could be improved to create the best result possible. 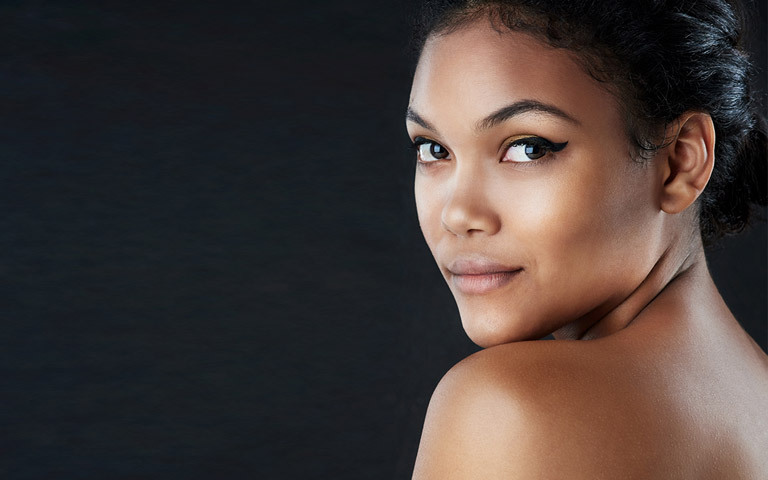 Ultimately, the goal of rhinoplasty surgery is to create a nose that is in balance and harmonious with the other characteristic Middle Eastern facial features. Many Middle Eastern patients from Toronto and around Canada choose to have rhinoplasty performed at The Plastic Surgery Clinic. Dr. Ahmad is considered an authority in rhinoplasty and has extensive experience performing rhinoplasty on patients of Middle Eastern and Persian ethnicity. He has been invited to lecture on his approach to rhinoplasty at conferences in the Middle East and Iran. Our goal is to create a nose that is beautiful and in harmony with your facial features – a natural appearing result. In this way, the result after rhinoplasty will complement and enhance facial appearance while ensuring that your ethnic features and cultural identity are preserved. At The Plastic Surgery Clinic, our surgeons are delighted to have helped all of the Middle Eastern rhinoplasty patients who have visited our Toronto and Mississauga clinics over the years. Watching our patients realize their ideal facial features through nose surgery is an experience we’re proud to be able to share. We understand that many patients who choose to undergo rhinoplasty surgery might feel apprehensive about the procedure and that’s why our personal consultations are always free. We want our patients to feel as comfortable as possible and to have as much time as they need to ask every question and voice every concern. 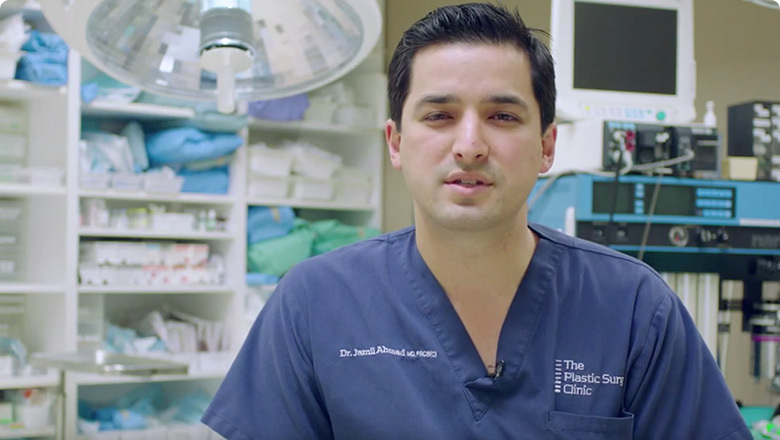 Dr. Ahmad, Dr. Lista and Dr. Austin will explain to you exactly how your procedure will be performed and the results it will help achieve. We have found that this open and personalized approach relieves anxiety and helps our surgeons deliver highly satisfying results. How Much Does Middle Eastern Rhinoplasty Cost? Most cosmetic surgery procedures are usually not covered by health insurance plans, including provincial health care and private company plans. However, after operating for over 25 years, we have come to discover that many people are excited to learn that the procedure they desire is in fact really affordable. To make this process even easier, special payment plans are available through financial institutions. Several of our patients have later expressed to us that cosmetic surgery turned out to be a permanent investment in their self confidence and well being rather than a financial expense. To learn more about the cost of Middle Eastern Rhinoplasty, please contact us by phone or e-mail or by filling out the Request for Information form below.